Want to make money on a new blog? Have you just started or about to start a blog? Do you have UNDER 10K PAGEVIEWS? A beginners guide to starting your first blog and fast-tracking your money making process. A quick guide to starting your blog and choosing your blog theme. Ways to research, join and increase affiliate and ad income on a small blog. Strategies to re-organize your sidebar and blog pages to boost sales. How to increase revenue from individual affiliate programs. Make money pinning on Pinterest, and what programs work! A blog post template that will teach you to make money, and learn how to create your next winning post. Crash course on some Pinterest basics. Neat tricks to create Pinterest images that heavily convert into blog traffic. How to use Pinterest when you only have 5 blog posts in total. What to do when you don’t get accepted into group boards. How to increase your Pinterest followers organically, with least effort. How to pin manually, and using Tailwind for a new blog. BONUS FREEBIES – Essential blogging resources worth over $45!! Want to know what I did in my first 4 months blogging? Had one of my blog posts promoted by Tailwind on Pinterest. Increased the amount of blog traffic from Pinterest by tweaking my Pinterest images & keywords. Reached over 2,000 organic Pinterest followers in the first 4 months. $1,000 in affiliate sales in 3 months blogging. And I am going to show you how you can do this too! 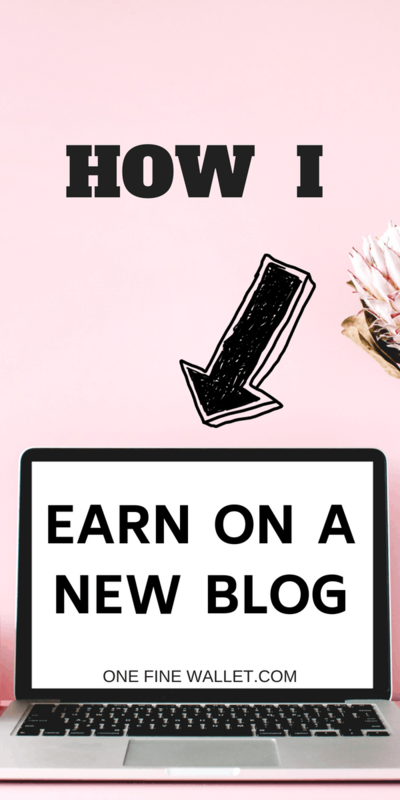 Make money on a new blog! Learn how to start your first blog to make money. Choosing the right affiliate programs and ad networks that pay well. How to organize the overall look of your blog – including blog posts, navigation bar, sidebar and its contents. How to make money using direct affiliate links on Pinterest. Pinterest marketing for new blogs and alternative options when you don’t get accepted into group boards. I am ready for this! Blogging can be overwhelming especially in the first couple of months. You want to increase your blog traffic to make money from it. You don’t need a massive amount of traffic to make money from your blog. I am going to show you ways to convert the little traffic that you have, into paying customers. As someone who has been blogging for a year, I knew the basics of blogging and affiliate marketing, but Saranya intertwined the two topics together in such a professional way, I couldn’t stop reading! Her modules on creating posts that convert and pins that get you the clicks really got my attention. Up until now, I thought I knew everything there is to know about Pinterest and making money from your blog. But, her step-by-step guide has brought a whole new perspective into how I should be maximizing my earnings. Now I’m confident that my affiliate income is going to increase exponentially in the coming months. This is the best affiliate marketing ebook for all new bloggers. You don’t know what you are missing! Saranya’s ebook is hands down the best ebook on monetizing your blog. I cannot recommend it enough! It is not only comprehensive but extremely illustrative. She shares examples of everything which makes it simple for newbie bloggers to understand and implement strategies. And the best part? It is not overwhelming! I wish I had read this ebook as soon as I started my blog! Trying to figure out every detail of blogging was significantly slowing down my progress, but Saranya goes over important and specific details about how to write the best titles, improve your pin images, your navigation bar, and there’s even a blog post template. Reading this ebook totally inspired me. I stayed up late finishing it! Now I feel prepared to work on specific things to improve my blog. Thank you so much! Saranya really breaks it down for new bloggers. 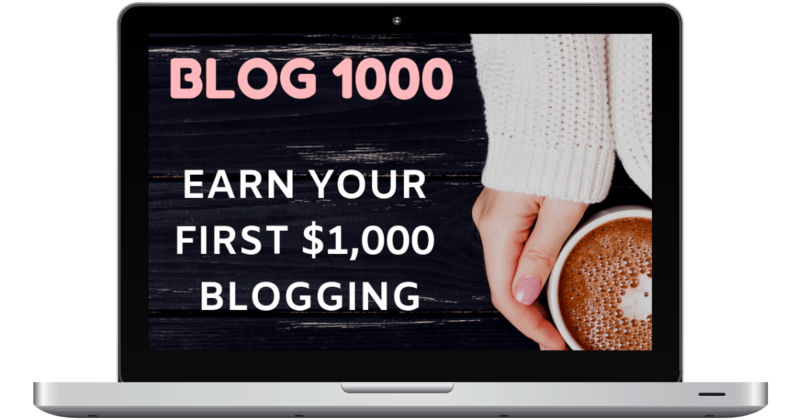 While there are a ton of ebooks and courses out there touting that they can help you make X amount of money with no problem, Blog 1000 gives you a realistic view of strategies you can use to grow your blog and earn an income. This is a must read for any beginner blogger! Blog 1000 has a ton of information in a concise and easy to read format. It covers everything from setting up your blog, to writing and promoting blog posts, and how to maximize your income. In under 100 pages, Saranya was able to teach techniques that are helpful both to a new blogger and to an experienced blogger looking to refresh their site. The BLOG 1000 ebook is the perfect resource for bloggers at any stage. Saranya shares a lot of insightful tips from affiliate research to Pinterest marketing. I have learned so much from this ebook & I have been provided with strategies I can use today, to start making money blogging. 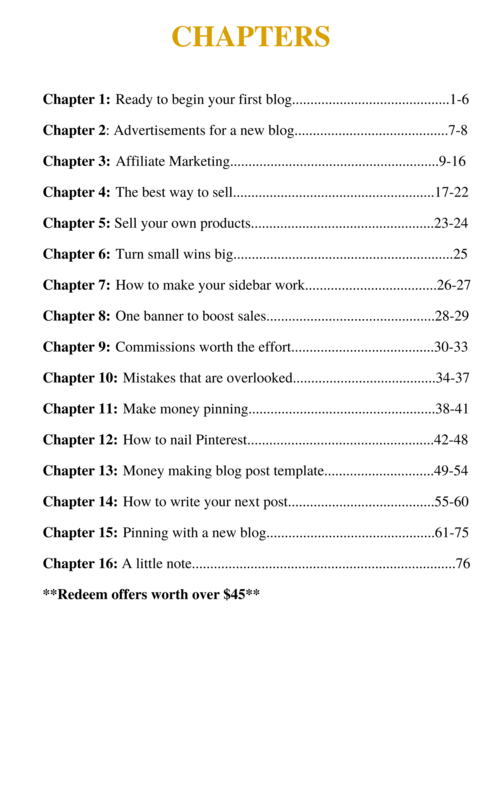 This e-book really helped breakdown what goes into blogging and how to make an income! It provides step by step instructions on set up and detailed explanations on different revenue avenues. Plus, it gives all sorts of tips on how to drive traffic to your blog via Pinterest and without spending hours creating. *Products listed below are affiliate links. Please read disclosure here. 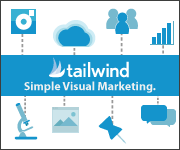 Tailwind has been kind to offer a free trial of 100 pins to use for scheduling. PLUS that’s not all, you get a further 10% discount to get started on their paid plans. Definitely worth using if you want to make the best out of Pinterest for your blog. To go hand-in-hand with Tailwind is this incredible Pinterest guide with hours of video tutorials, that you get for $10 off the original price. 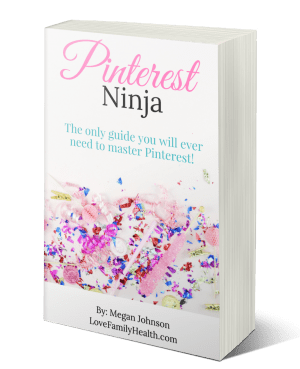 Plus access to all future updates to this course free, so your Pinterest strategy is never outdated! Want to increase your blog page views to over 400k a month? That is exactly what Lena Gott teaches you in her Traffic Transformation guide. 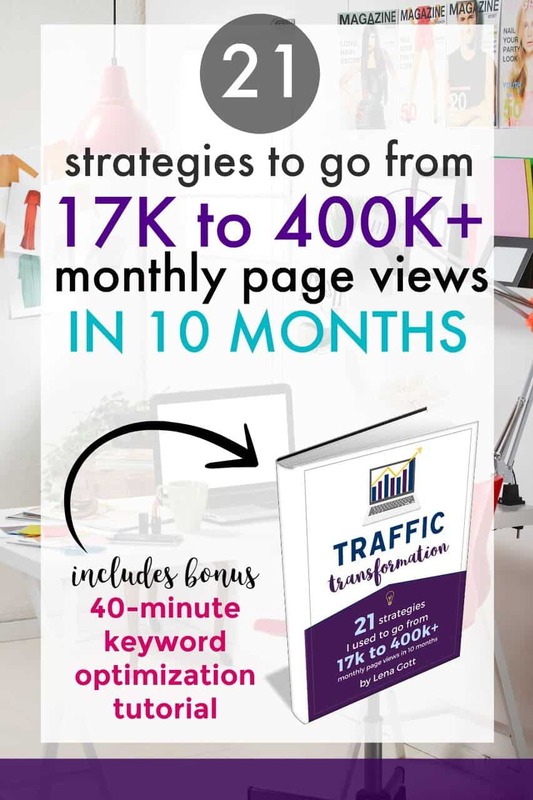 She beautifully lays out 21 strategies that transformed her blog, including a video on Google keyword research, that I love, for a massive $19 off! Amazon is one of the biggest affiliate marketing platforms for new bloggers. And if you are looking to boost sales to over $1,000 a month from Amazon, then this ebook is a must read. You get a 10% off discount link to help you work on your Amazon Affiliate Strategy.